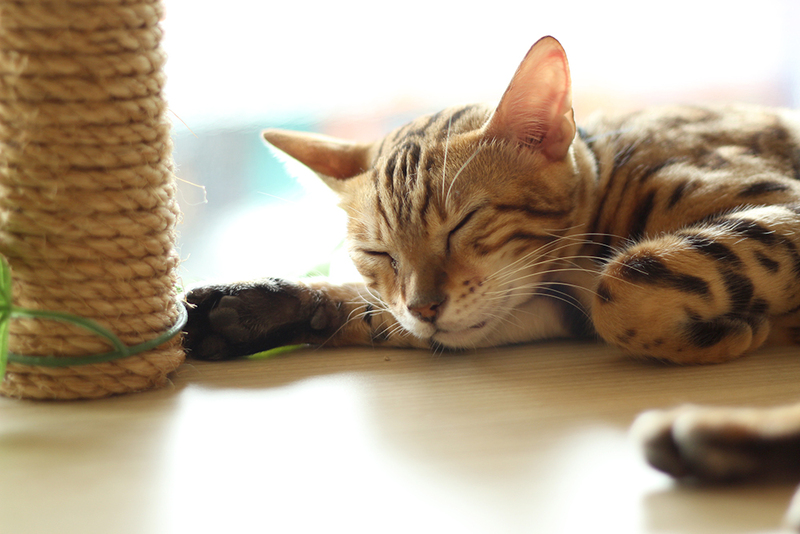 Anyone keen about Cat Cafe? Well I guess these kind of cafe are popular nowadays. 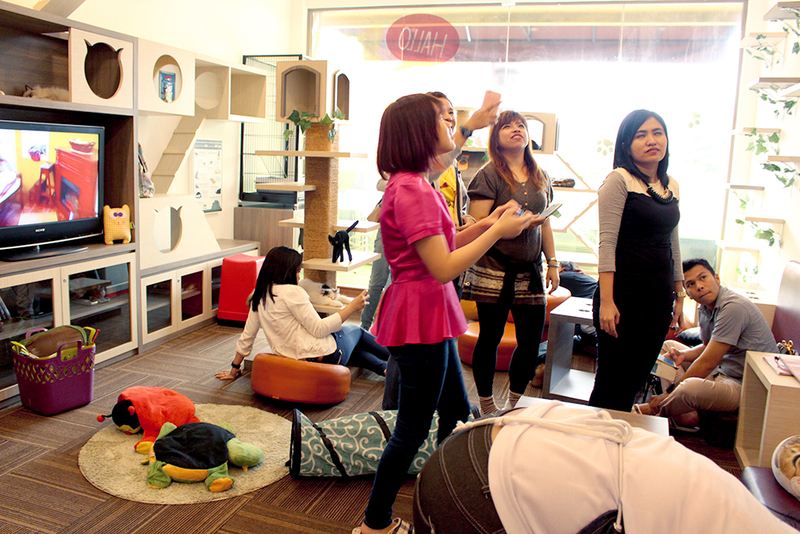 It's a place where you can chill surrounded by cats. 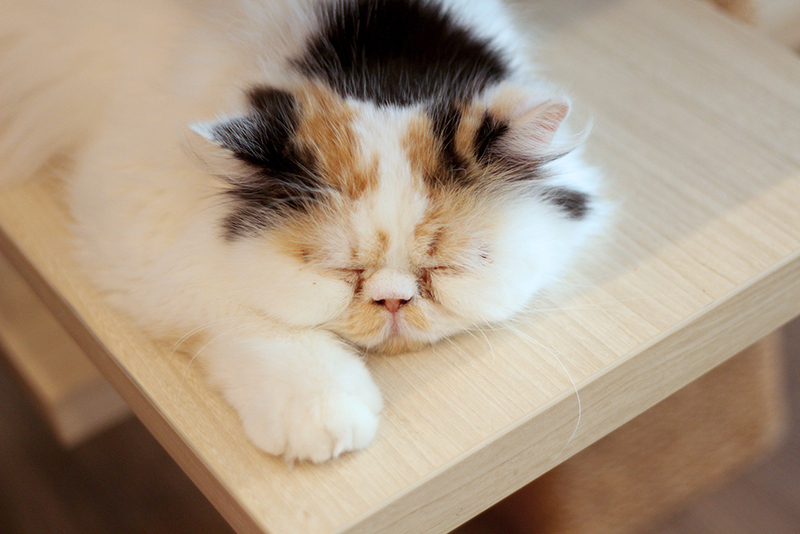 I read there are several famous cats cafe spots outside the country such as Singapore or Korea. 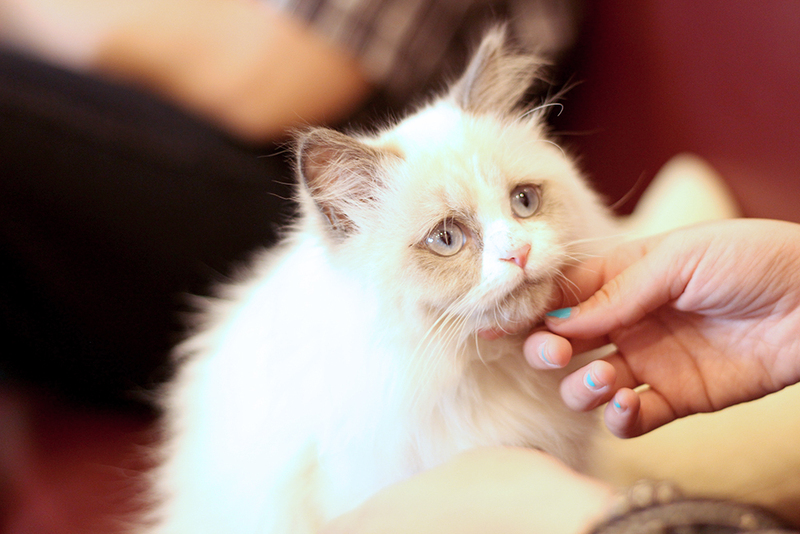 Therefore when there is a cats cafe in town, everyone were really excited and so do I.
I arranged our shedule with my friends. I do highly suggest you to do a reservation before visiting the cafe since they are usually fully booked especially on weekend. When you're having your reservation, you also need to make your payment first so they can put your name on the guest list. 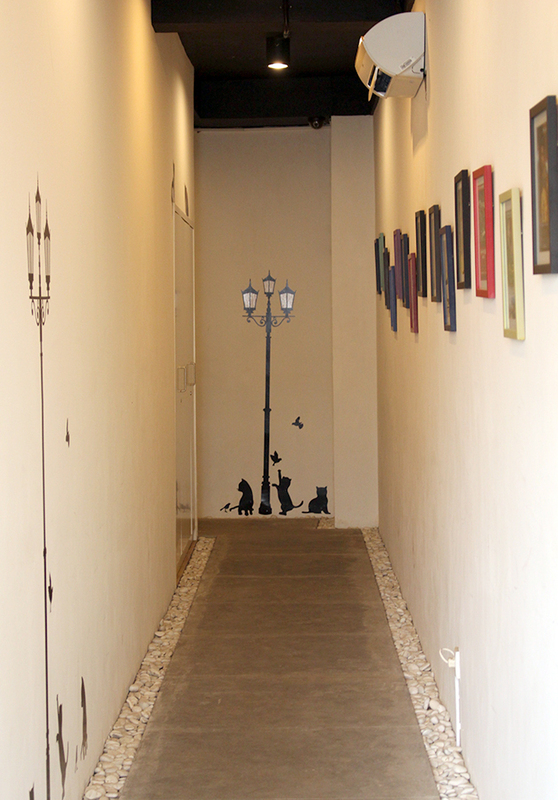 The entrance to the cafe. 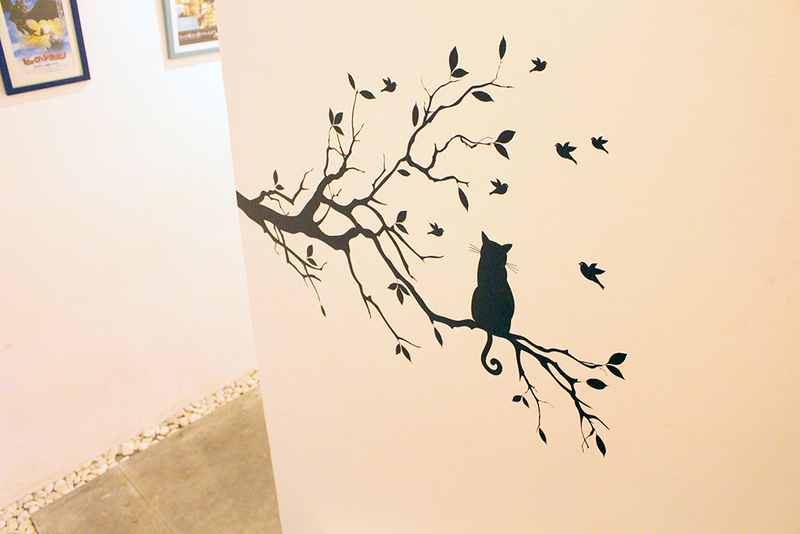 A long corridor with various cute cat wall sticker. The cafe is on the second floor. I love how they arrange all the cat theme. Then after going upstairs, we will see these sweets display. 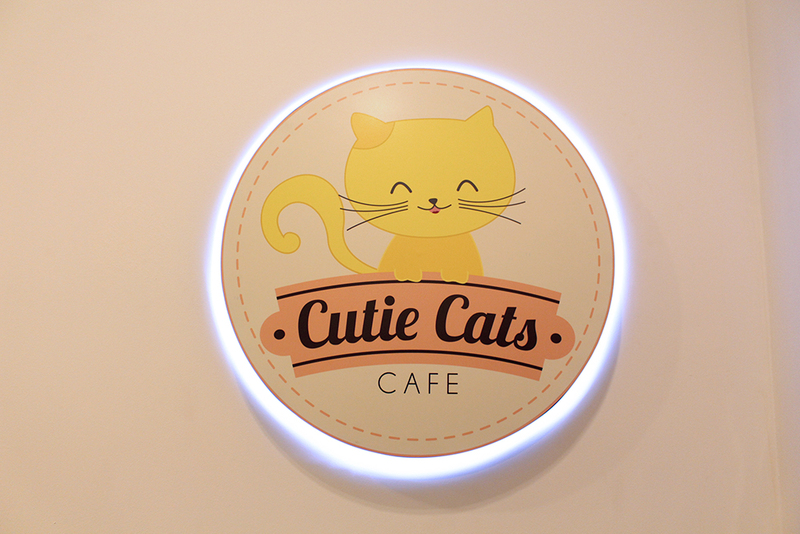 Cats Cafe only provided sweet meals to prevent their cats from eating it. 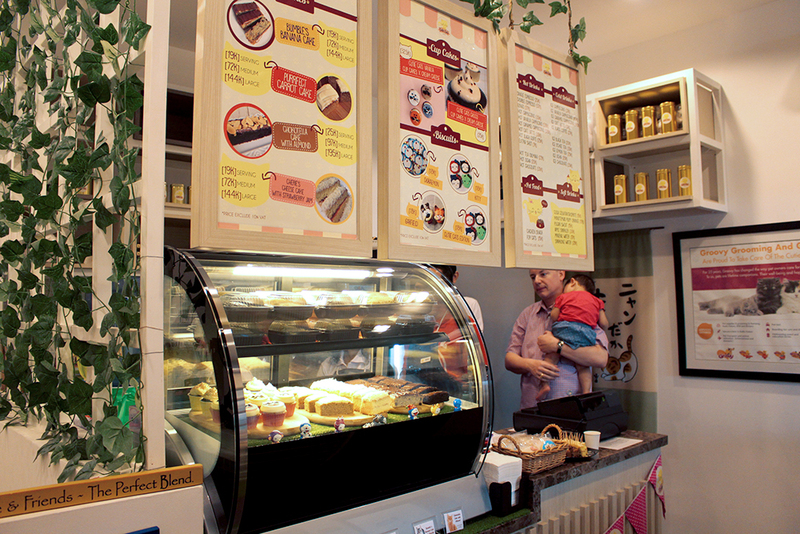 The staff will greet you warmly and check your name on the reservation list. We were also need to change our footwear into slippers that have been provided. I appreciate how they value our time by arranging the schedule on time and make sure their customer won't wait. I was having a reservation on 13.00 and by the time I arrived, I don't have to wait for long. They will also kindly remind you when your visiting time is about to end, usually around 10-15 minutes. Beware since there will be tons of cute cats after this line. Seriously I am no good in playing or interact with animals. My friends were going crazy and playing with them nonstop while I was busy capturing picture hahaha. Meanwhile, Pat was busy luring several cats from the higher place to come down and play with us. He is being way too pro when it comes to dealing with animals, I cannot even.... One of the good reason is because he saw this. 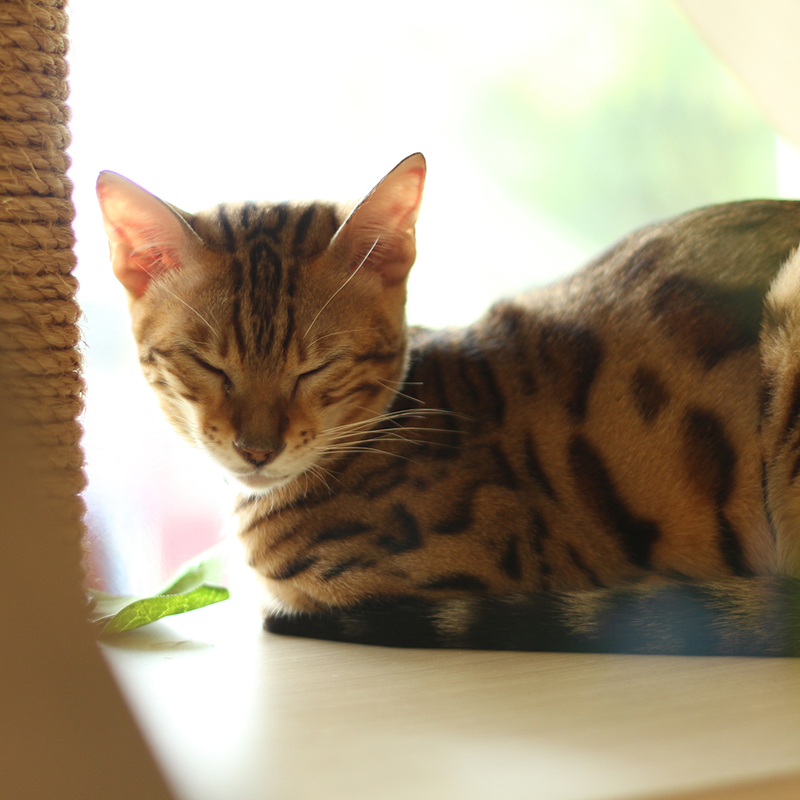 LEOPARD CAT? As someone who loves leopard, all my attention goes to this cat immediately hahaha. :') It was pretty funny when Pat could easily attract cats with treats. 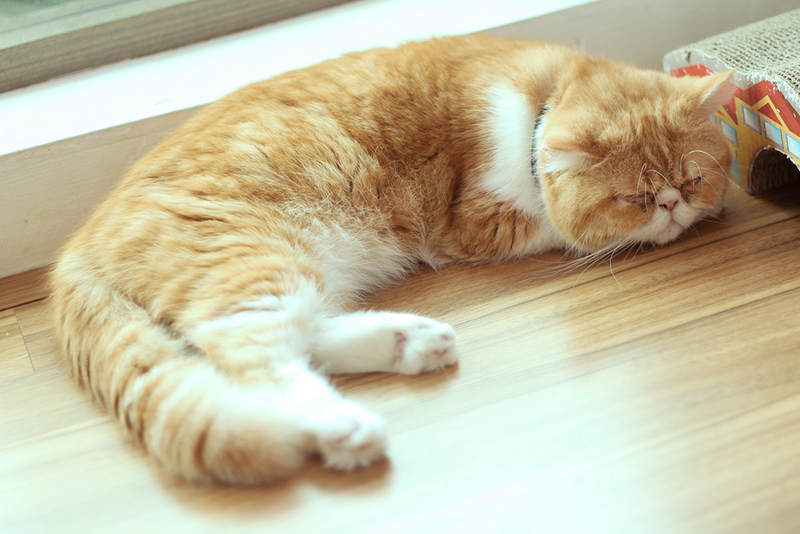 I told him that he has a potential to be pawang-kucing (cat trainer) LOL. 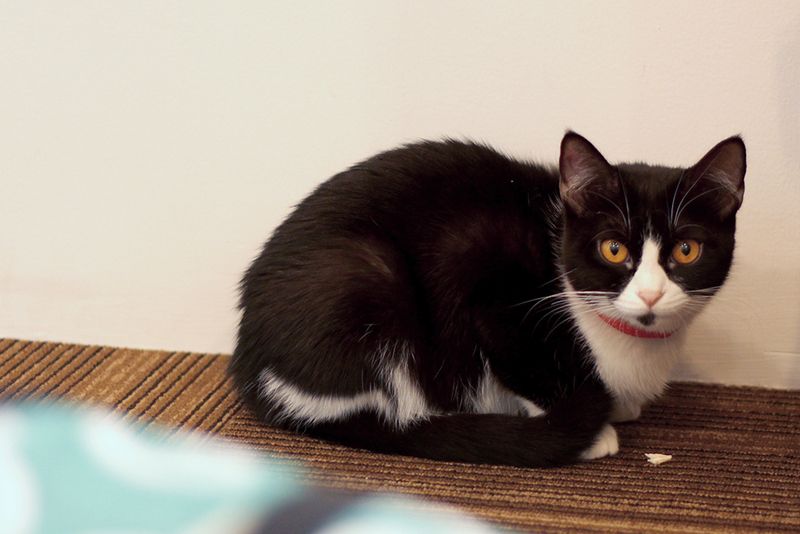 Every cat have their own names which I cannot easily remember since there are around 31 cats in the room. Overall I enjoyed my visit to this cafe and would love to come back. 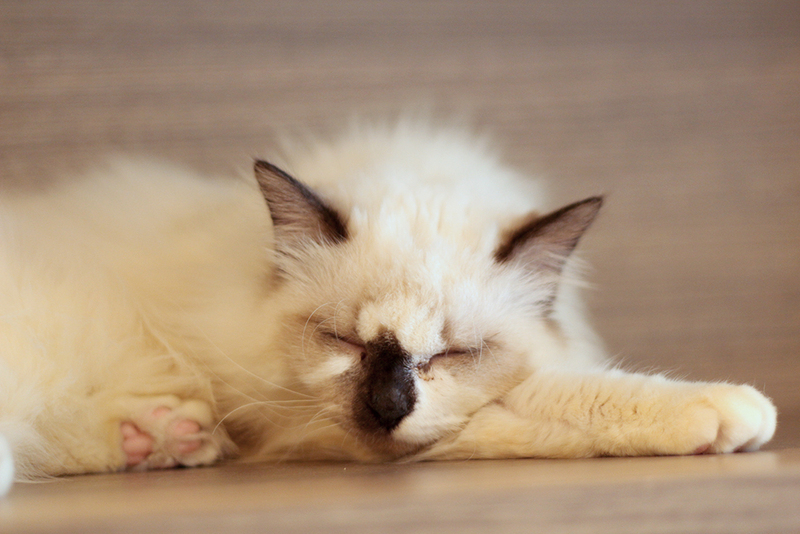 Probably need to adjust my visiting time since many cats were having a nap time at the moment.